How do you market cars built and designed in the 1970s for a 21st Century audience? Appeal to their sense of nostalgia of course. While that’s the obvious answer, one company is taking it a bit farther and coupling the comfort of nostalgia with the push of a limited supply to create a buzz around their latest car. Recently, TransAm Depot announced their new line of TransAm models based on the infamous 1977 TransAm featured in the movie Smokey and the Bandit and I have to admit, their marketing approach is “on fleek.” Not only are they capitalizing on the nostalgia people have for this iconic car, they’re also tapping into our natural desire for things that have a limited run. To kick things off, they managed to have none other than the Bandit himself, Burt Reynolds, on board with their promotions. Reynolds has already been featured heavily on the TransAm Depot website as well as all their press releases and external marketing for the cars. Then they doubled down, making it a limited run of 77 vehicles to coincide with the year of its birth. 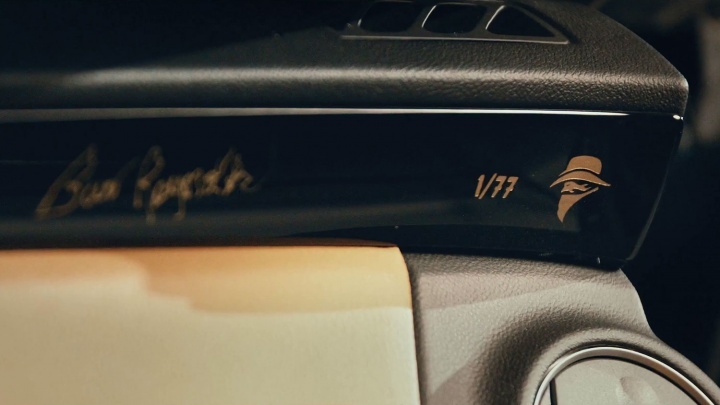 Finally, they added Bandit authentic touches to the interior and even include an autograph by Burt Reynolds on the dash. So you’ve got the nostalgia angle bolstered by a signed, limited run – who can resist? Apparently, no one. Even with its base sticker price of $115,000 news about the car has lit up message boards and forums for car enthusiasts. There’s no word yet on how many models have already been reserved but the series has already attracted national attention, making headlines on everything from Maxim to Fox Sports. For the people who grew up watching the Bandit make his epic road trip for a bunch of Coors beer, the rebooted TransAm is more than just a beautiful muscle car. It’s a piece of art, a high-performance machine – and a connection to their own childhood dreams. The TransAm Depot has launched a successful campaign to create interest in the reboot and now they simply need to deliver. If the cars prove to be every bit as amazing as the marketing campaign, this could kick off a whole new approach to how and why we buy cars. After all, if people want a new Smokey and the Bandit TransAm, surely a limited Knight Rider edition can’t be far behind, right?